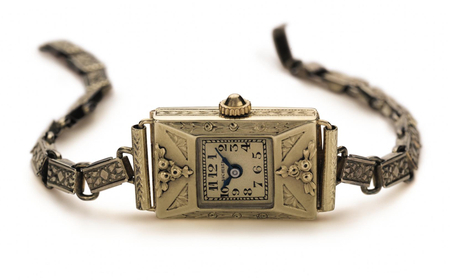 This year marks 125 years since Swiss jeweller Carl Friedrich Bucherer opened up his first watch and jewellery shop in Lucerne and launched the Art-Deco-inspired ladies’ watch collection. This was a revolutionary development since Carl Friedrich Bucherer was one of the first to focus on the wristwatch, still very much an innovation at the time. Where men’s watches were concerned, complex functions were much in demand in the 1930s and they introduced a model with a jumping hours display indicated via a disk called the “Rolex Prince C. Bucherer’s” and this was another important watch. 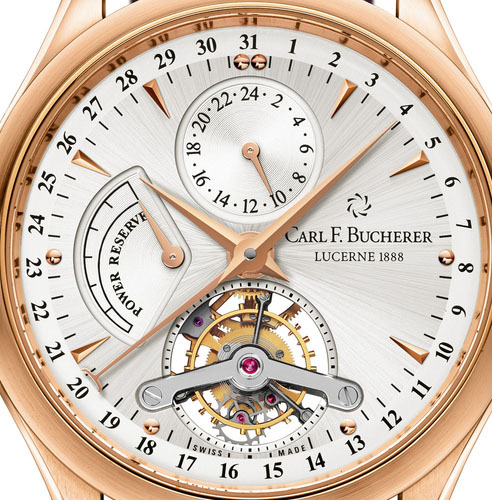 Indeed over the years Carl F. Bucherer has created watches ranging from chronometer certified models, chronographs and diving watches to more complicated models such as perpetual calendar models eventually to such important modern development as the creation of the CFB A1000 manufacture movement in 2008 demonstrating the brand’s innovative strength (pictured below). 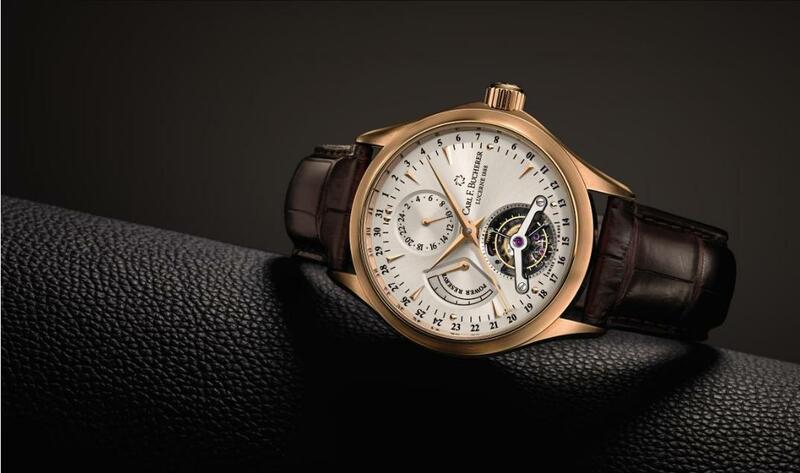 However this new model, the Manero Tourbillon Limited Edition is to be introduced into the highly regarded Manero collection and will be the brands first Toubillon and will commemorate the 125th anniversary. Incidentally Carl F. Bucherer is part of the larger Bucherer family including the major Swiss watch retailer, and it wasn’t until 2001 that the watches were produced with ‘Carl F. Bucherer’ on the dial. The modern brand known as ‘Carl F. Bucherer’ established itself with the introduction of the well recieved Patravi collection in 2001. They have since gone on to develop a research and production center for the design and development of in-house movements located in in Ste-Croix. Carl F. Bucherer’s watchmakers have loaded several other complications into the new model apart from the tourbillon, but despite being filled with functionality the design of the dial manages to retain clarity and is therefore easy to read. 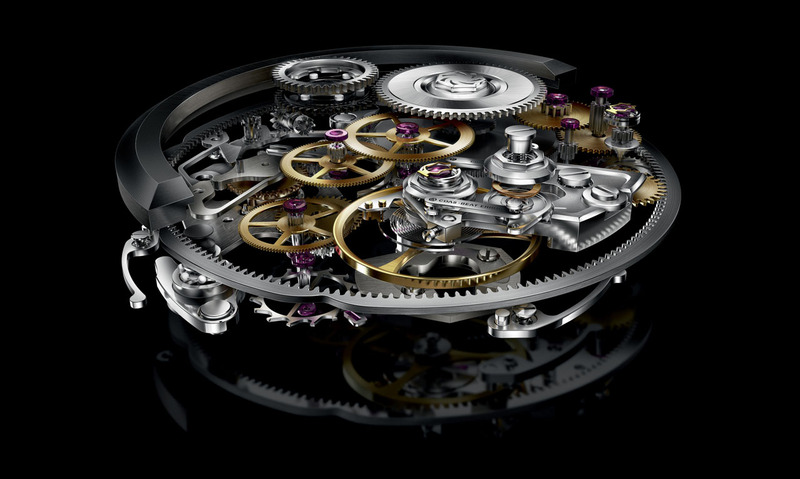 The tourbillon, which is featured in an opening at 6 o’clock on the dial is understandably the central attraction and also serves as the seconds indicator. As an alternative to to the more commonplace date disc a peripheral 31-day scale surrounds the dial using a centre-mounted hand to indicate the date. You can read the 31 markers easily and the numerals on the scale change their orientation at 3 o’clock and again at 9 o’clock for improved legibility at a glance. Displaying the time on a 24-hour scale is a sub-dial at 12 o’clock and the movement’s uncommonly long power reserve of 70 hours is shown on the semicircular scale at 9 o’clock. The tapered hours and minutes hands wedge-shaped hour markers are typical of the Manero line. 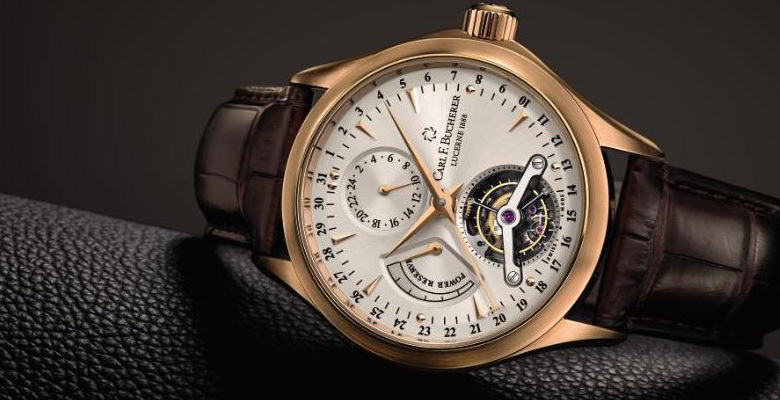 The bold tourbillon bridge is in contrast to the more delicate aspects of the dial , with the use of multiple complications and a tourbillon aperture Carl F. Bucherer’s designers endeavoured for clarity and small circular markers next to the indices help enhance the readability despite the lack of lume presence. The use of the elegant typeface was also used for clarity and is typically found on other Carl F. Bucherer watches. With a diameter of 41.8 mm and 12.52mm thick, the 18k rose gold case is a very nice mid-size that should be suitable for most men and is water-resistant to 30 meters. The Manero Tourbillon comes on a brown hand-stitched Louisiana alligator leather, with a rose-gold folding clasp and the sapphire crystal is coated with non-reflective material, and and as expected there is a sapphire exhibition caseback to admire the CFB T1001 movement. Described by Carl F. Bucherer as emphasizing “classical elegance” the in-house made, manually wound CFB T1001 Tourbillon movement measures 33mm in diameter and has a height of just 6.2mm. It has a power reserve of 70 hours and features the time, 24 hour indicator (AM/PM indicator), date, tourbillon, and a power reserve indicator. Considering that CFB just recently released their $7000 dive watch the Bucherer Patravi ScubaTec , it makes you aware of how just how eclectic this brands collection is, featuring timepieces with base Swiss ETA movements and top end models such as this tourbillon with an in-house movement. This new Manero Tourbillon is very much a traditional model in a conservative luxury style as well as being historically important for the barnd as its first tourbillon watch so its fitting considering its a ‘role model’ for the anniversary edition celebrating 125 years. Just narrowly avoiding the six figure some that tourbillons often go for, the Carl F. Bucherer Manero Tourbillon is priced at $98,800 and limited to only 188 pieces worldwide. 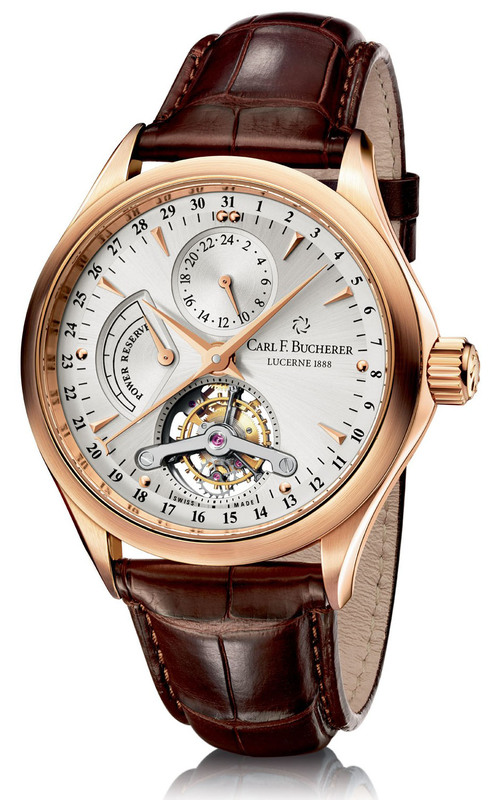 More resources about the Carl F. Bucherer Manero Tourbillon available on ABTW, WatchTime, and Fratello Watches. 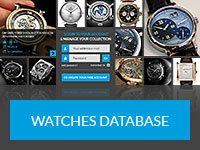 Or directly on the Official Carl F. Bucherer Website.